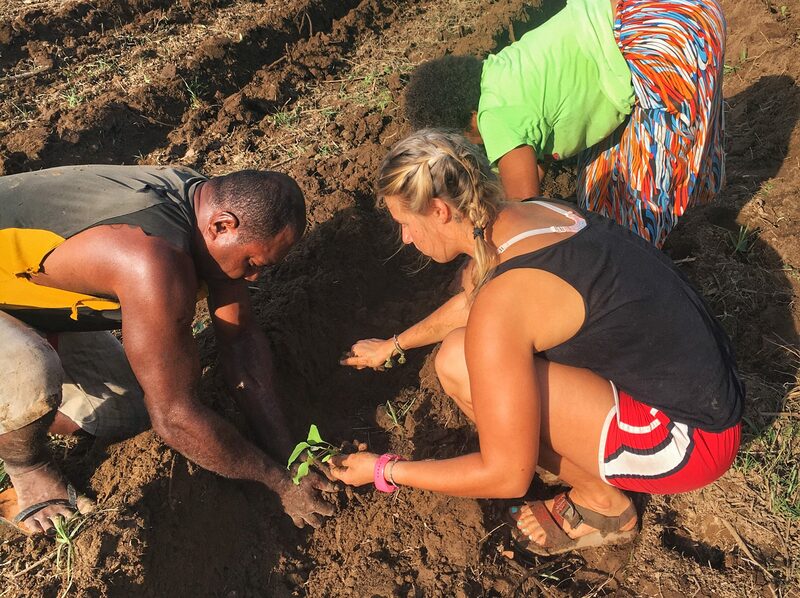 Rugby practice, parties, and dodging another cyclone 2/5-2/11 – Kua na Leqa, Marua Tiko! Tuesday was the first day of training for the rugby team! Around 5 I went down to the field and played volleyball with the kids while waiting for the team show up, it started to rain pretty heavy so then I decided to watch volleyball under my umbrella with another woman from the village. Then around 6 the whole team was there and ready for their workout. We did a plyometrics circuit focused on legs, they were not ready for an intense workout created by a girl. Whenever I wanted them to work harder I’d start doing the exercises with them and they instantly gave more effort. Over all I think they enjoyed the workout, they asked if I could train them twice a week instead of just once, yes please! Rugby is taken VERY seriously here. I went back on Thursday and worked out with them, it rained again but the rain felt really nice. On Wednesday I taught the kids how to play kickball during P.E. There’s 40 students in gym class so I try to find games that work well for so many kids & this one seemed to work pretty well! They were laughing and cheering for each other and of course throwing the ball as hard as they can at other students. It’s also still suuuuuper humid and hot. I love the heat and I usually don’t even mind the humidity, but this is a little much even for me. I was video chatting my mom while making lunch one day and sweat was just pouring off me. Friday evening I went to school for a welcome party for one teacher and a farewell party for another teacher. The kindy teacher is getting transferred to a different school and is being replaced with another teacher. We had a feast, listened to music, and drank … you guessed it, grog! … I was at the all womens grog circle and it was really nice! The weekend was very relaxing and chill, I video chatted with my family and some friends and did my usual market trip. I’m looking forward to working out with the rugby team this week and learning a new recipe with some of the veggies I got! I am still on “Alert” for the weather, meaning I should be ready to go to consolidation should I get the phone call. There’s a cat 5 cyclone that is expected to hit the outer islands south of me. According to the expected path the cyclone will travel, I should be completely safe. Even if the cyclone were to come near my village, I have full confidence that that Peace Corps would make sure other volunteers and myself are safe and out of harms way. Today as I’m writing this it is nice and sunny! Before going to the teachers party on Friday, I put mascara (I never wear makeup here, but thought I’d jazz things up). With the humidity, sweating, and not being used to wearing makeup, the mascara went from being on my eyelashes to creating dark circles under my eyes. One of the teachers looked at me very concerned and asked if I was ok a couple times. I responded saying “of course!” and I wondering why she kept asking me that. Then after I got back to my house after the party I knew why. It looked like someone punched me in both my eyes with the dark circles! I def won’t be wearing mascara anytime soon!